A favorable business environment has been created in Azerbaijan and it is easy to invest in the country, Azerbaijani Minister of Taxes Mikayil Jabbarov said on the John Batchelor Show of the famous American host John Batchelor. 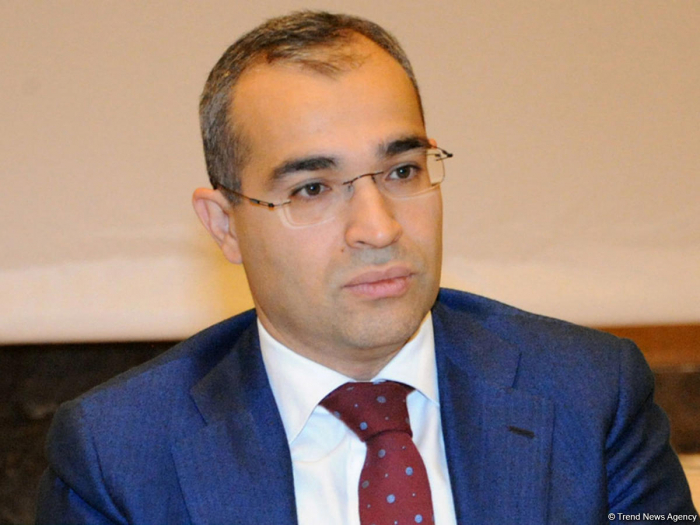 The minister noted that Azerbaijan significantly improved its position in the latest Doing Business 2019 report and ranked 25th, entering the top ten major reformers. Jabbarov spoke about the tax reforms carried out in late 2018. In particular, it was decided to reduce the tax burden on small and medium-sized businesses and, thus, to ensure the development of the non-oil economy, he said. During the interview, the minister stressed that agriculture as a whole is exempt from taxes, which also helps to ensure the competitiveness of agricultural products when exported. "We try to support economic growth through tax policy, because just like tax policy ensures economic development, the level of a country's economic development has an important influence on tax policy," Jabbarov said. Speaking about the economy of Azerbaijan, the minister noted that development is observed not only in the capital, but also in the regions of the republic. "Since 2004, under the leadership of President Ilham Aliyev, the State Program on the socio-economic development of regions has been implemented in the country. Because one of the main challenges we face is to ensure equal growth, so that it is not limited to the capital only," the tax minister said. Noting that the implementation of the fourth State Program on the Socio-Economic Development of Regions has recently begun, the minister added that over the years of implementation of these programs, tens of billions of manats have been invested in the country's regions, over 3,000 schools, more than 600 hospitals and tens of thousands of kilometers of roads have been built.